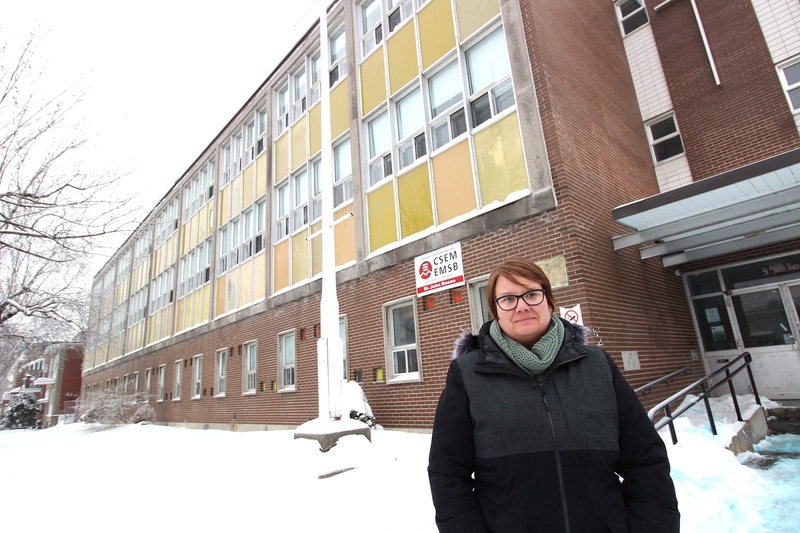 OVERCROWDING ISSUES RESOLVED: The EMSB Council of Commissioners has arrived at some solutions to address overcrowding problems at two West End elementary schools, Willingdon in NDG and Edinburgh in Montreal West. Beginning in the 2019-2020 academic year, Willingdon will operate a second building on Coronation Avenue to house Grade 5 and 6 students. Edinburgh, meanwhile, will receive four modular classrooms with the aim of bringing enrolment down to their maximum capacity of 100 percent over a four year period. Mobiles will be reduced by one per year. The Directorate has instructed the Edinburgh administration to limit kindergarten registration to two classes per year until the overcrowding issue is resolved. In order to accommodate the new senior campus for Willingdon, students from two alternative high schools- Focus and Outreach- will be relocated from the Coronation Avenue facility to their own space at James Lyng High School in St. Henri. See the complete story here. Principal Marylene Perron in front of the Ville Émard campus building. 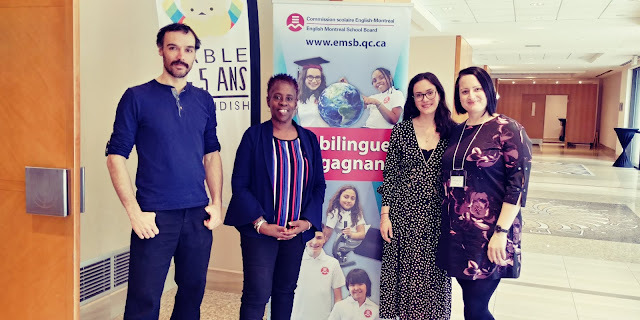 TEMPORARY RELOCATION OF WESTMOUNT PARK: The EMSB will proceed with the relocation of students from Westmount Park Elementary School for two years to Marymount Academy International in NDG and the former St. John Bosco Elementary School in Ville Émard. Westmount Park Elementary School will undergo major renovations. Due to the scope of the $12.5 million project, this will require that the entire school population be relocated for the 2019-20 and 2020-21 academic years. The more than 700 students will be split between Marymount and St. John Bosco and both sites will have Pre-K to Grade 6 levels in order not to separate siblings. See this story. Nutrition Month is almost here. NUTRITION MONTH: March is Nutrition Month all across Canada and in celebrating this, Nutrition and Food Services at the EMSB has prepared various nutrition activities. The national theme for this year’s campaign is to Unlock the Potential of Food to fuel activities, inspire children, improve health and bring people together. This campaign aims to promote healthy eating habits on a daily basis by promoting nutrition awareness and increasing nutrition knowledge. Visit www.nutritionmonth2019.ca for more information. To commemorate nutrition, in-class activities which orient students to read and better understand nutrition labels are in full swing in the East Sector elementary schools. 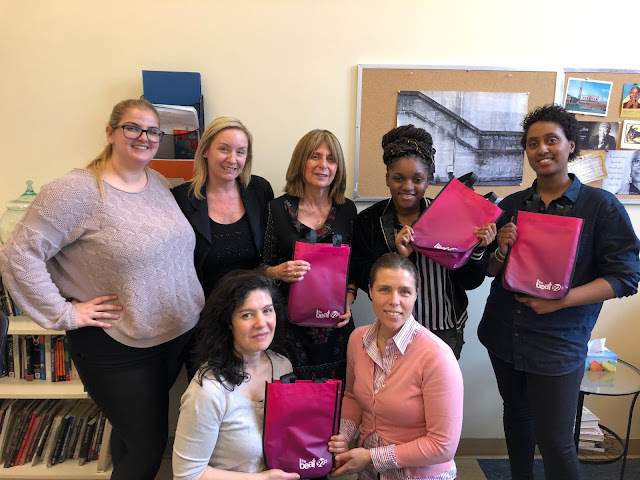 Animated by an EMSB dietitian these “READ WHAT YOU EAT” activities are building blocks for our kindergarten to 6 students for better nutrition knowledge and making healthy food choices. See the complete story. 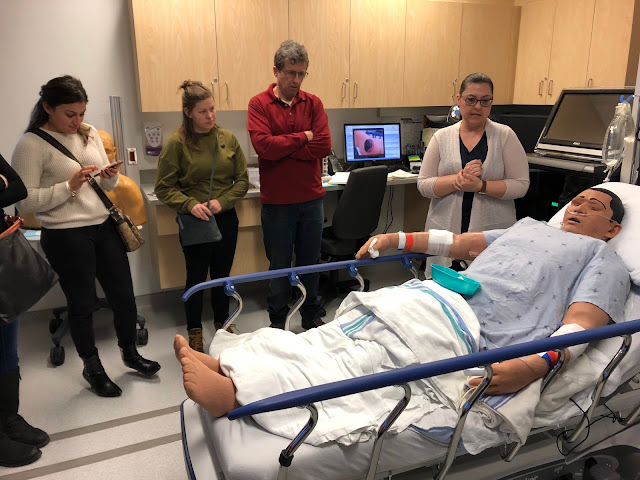 EMSB teachers learn more about Bob the high-tech mannequin patient at the MUHC. MUHC PARTNERSHIP: The EMSB and the Research Institute (RI) of the McGill University Health Centre Research Institute (MUHC) will launch an unprecedented formal partnership on March 12 at the Glen Campus: students collaborating with researchers on a STEAM project (Science, Technology, Engineering, Arts and Mathematics). At the launch students and staff from six high schools (LaurenHill, Laurier Macdonald, John Paul I, Marymount, Lester B. Pearson and John Grant) will not only have the opportunity to tour the research institute, they will also visit numerous kiosks and speak to different researchers about their projects in order to choose the area which interests them and whom they are most interested to collaborate with. At that point school teams and researchers will exchange information in order to work together on a multi-disciplinary project of their choice. This is a by invitation only event. Next Suzanne sat down with Katherine Baker. Although she started her post-secondary education in commerce, Katherine soon realized where her passion lay. As the full time Physical Education & Health Consultant for the EMSB, Katherine is guiding our children to enjoy and appreciate what an active lifestyle brings. Physical Literacy programs incorporate movement throughout the student’s day. But are the students able to take these notions home from school with them? Katherine believes so and her passion to seeing that happens is infectious! Listen to it here. WESTMOUNT HIGH STUDENTS TALK KAMALA HARRIS: Montreal Gazette city columnist Bill Brownstein returned to his former high school, Westmount High, to talk to students in Robert Green’s Grade 11 Advanced Placement Comparative Government and Politics class about another graduate, Kamala Harris, who wants to become the next President of the United States. They do so on video here and this column by Brownstein. 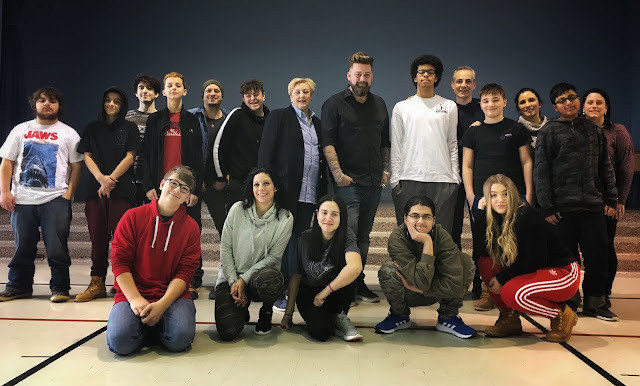 MESSAGE FROM PM: Prime Minister Justin Trudeau, the Member of Parliament for Papineau (John F. Kennedy High School and Sinclair Laird Elementary), prepared this video message as part of Spiritual Community Animator Rocco Speranza‘s Embrace your Authenticity project. 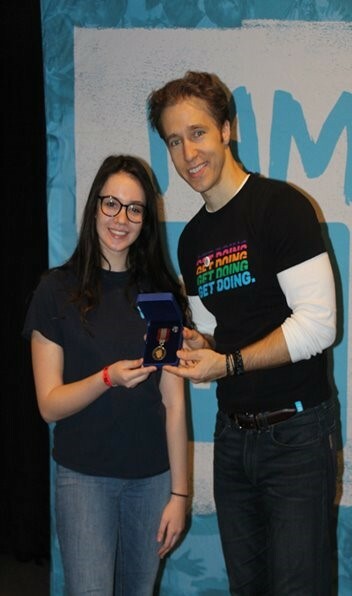 HOOKED ON SCHOOL: For the past 14 years Hooked on School Days (HSD), held during the third week of February, have mobilized Quebecers around the educational success of young people. This year’s edition took place from February 11 to 15. This event reminds students, parents, school staff, employers, and all provincial and regional stakeholders that they play a vital role in encouraging young Quebecers to stay in school. EMSB Director General Ann Marie Matheson is the chairman of the program in Montreal. She spoke at the February 11 launch in Verdun. On hand were Minister of Education Jean-François Roberge and football star Laurent Duvernay Tardif, an offensive lineman with the NFL’s Kansas City Chief and a graduate of McGill University’s Medical School. He is this year’s spokesperson. Every year, thousands of HSD activities and events take place in schools and municipalities across Québec. Hooked on School Days are held and organized by Québec’s regional consulting authorities (Instances régionales de concertation–IRCs) on student retention and educational success. 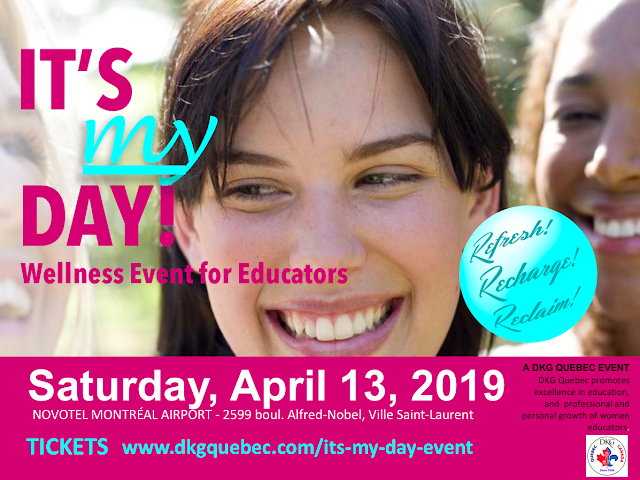 These IRCs mobilize hundreds of organizations in all regions of Québec around the importance of taking tangible measures to improve the educational success of youth. This year, the campaign aimed to illustrate the power of small gestures – actions anyone can take. When they’re all added up, they can make a real difference in the success of young people, from pre-schoolers to young adults. Whether you’re a parent; a family member; a friend; an early childhood educator; a child care worker; a teacher; a community, school, or employability counsellor; a professional or manager; an employer; or a municipal or provincial elected official, we can all take tangible actions and make commitments that encourage our young people to stay in school and support their educational success. 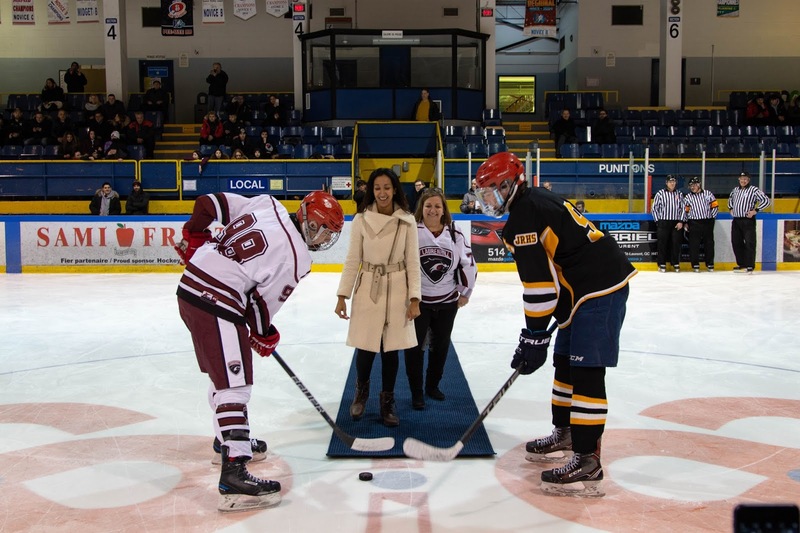 St. Laurent Liberal MNA Marwah Rizqy and Principal Donna Manos perform the puck drop. LAURENHILL HOCKEY EXCELLENCE: A competitive hockey team was revived last year at LaurenHill Academy in St. Laurent and on February 25 they played before a capacity crowd of just over 1,000 people at Raymond Bourque Arena. LaurenHill was defeated 3-1 byJohn Rennie High School from Pointe Claire in the Greater Montreal Athletic Association (GMAA) Juvenile Division 2 Championship game. Getting this far was quite a feat for the St. Laurent team, brought back to life in 2017-18 by head coach and mathematics teacher Shawn Sacco after a 15 year absence. Coach Sacco played high level hockey himself in United States prep schools Last year the new LaurenHill squad went all the way to the semi finals. This year they had an undefeated season until one forfeited game. They won their semi final vs Pierrefonds Comprehensive High School. All of the more than 1,000 LaurenHill student an at least 100 staff members attended the game as part of their last period of the day and walked over to the arena. See this excellent report from Global TV. Shooting hoops with the Canadian Forces. 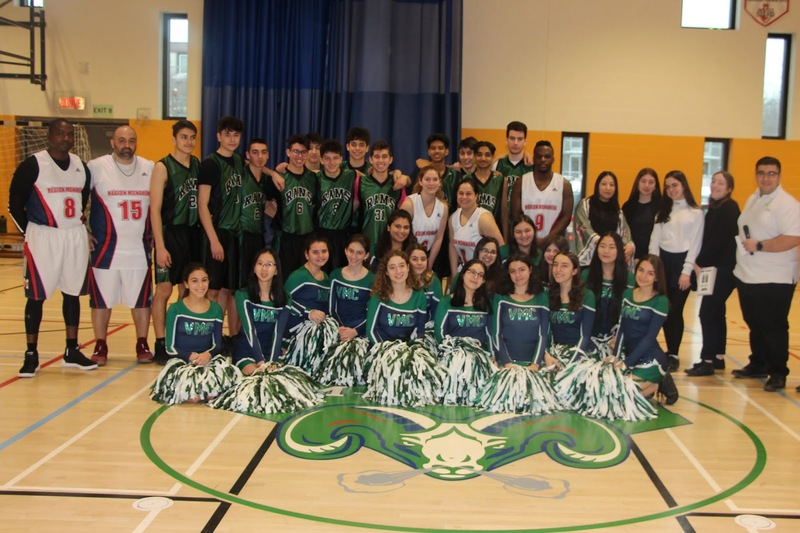 CANADIAN FORCES BASKETBALL: As part of Hooked on School Days at Vincent Massey Collegiate in Rosemount, students challenged members of the Canadian Forces (CF) in their annual Spiritual Care and Guidance and Community Involvement (SCA) basketball game. The CF members spent time with the students before and after the game, conveying the importance of following one’s dreams and persevering through life’s challenges. 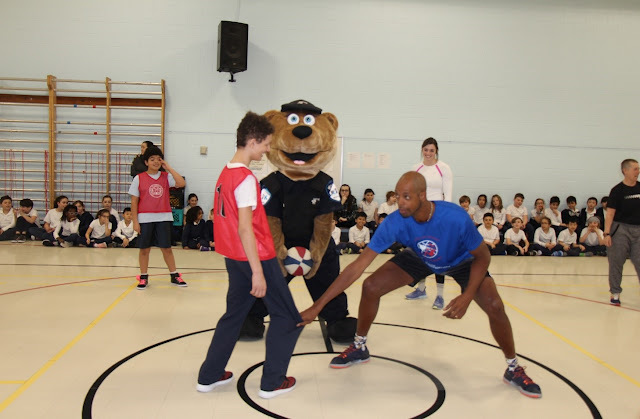 This event was part of the “Hooked on School Days” initiative across Quebec and within the EMSB. 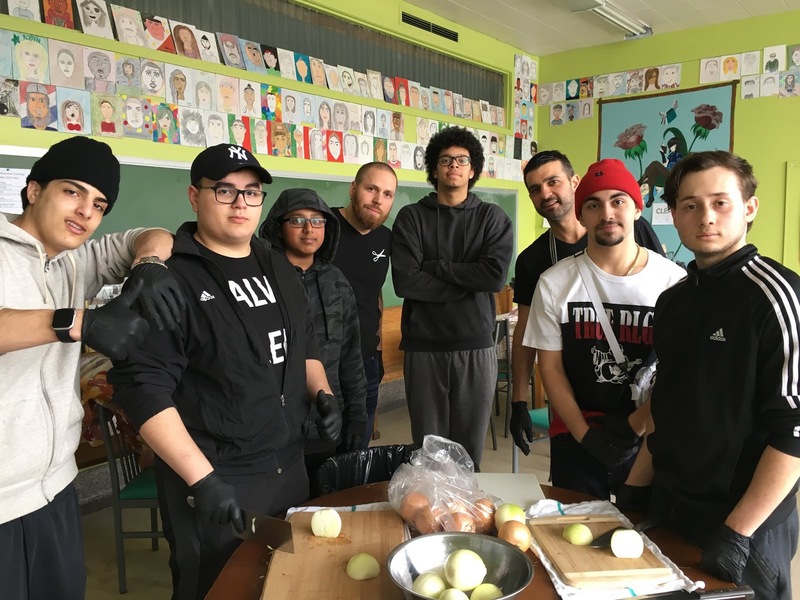 The service members decided to collaborate with Spiritual and Community Animator Speranza in order to underscore the importance of engaging with the community and encouraging students in their studies. The basketball game was also a celebration of the vital work of those helping our youth achieve their potential. 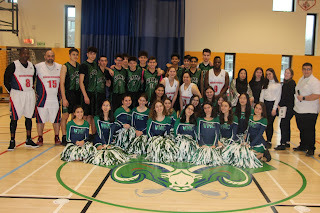 The special guests, ran into a different kind of adversity at tip-off time, as they were up against a team of students who came ready to play and win, and who were supported by the entire junior student body as well as their cheerleaders. 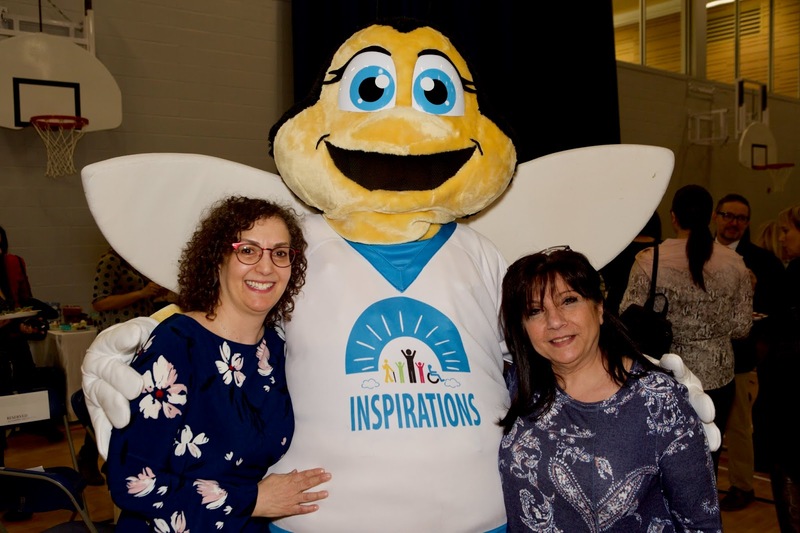 CELEBRATING A DECADE OF SUCCESS: Inspirations Newspaper showcased the talents of the special needs community at the 10th anniversary celebration for the special needs publication on February 22 at the Mackay Centre and Philip E. Layton Schools in NDG. At the event members of the Inspirations family welcomed friends, colleagues, and supporters, who, together, work towards breaking down barriers and promoting the inclusion of people with special needs. Innovative vocational programs and resources will be showcased at the event. Lunch was catered by Summit School’s TECC Bistro, a full-fledged catering enterprise. Approximately 40 students were involved in the food preparation and service, providing them with invaluable work experience. Renowned recording artist Martha Wainwright sang with the Mackay Centre School Choir, made up of 10 Grade 4 students, one of which is her son! 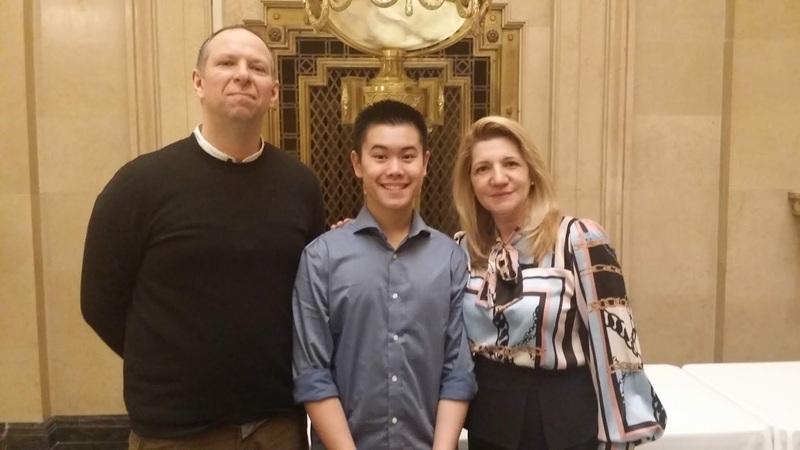 Master of ceremonies Steven Atme is a columnist for Inspirations, speaks to students across the island of Montreal about living with autism, and runs his own music school, Creaversity. 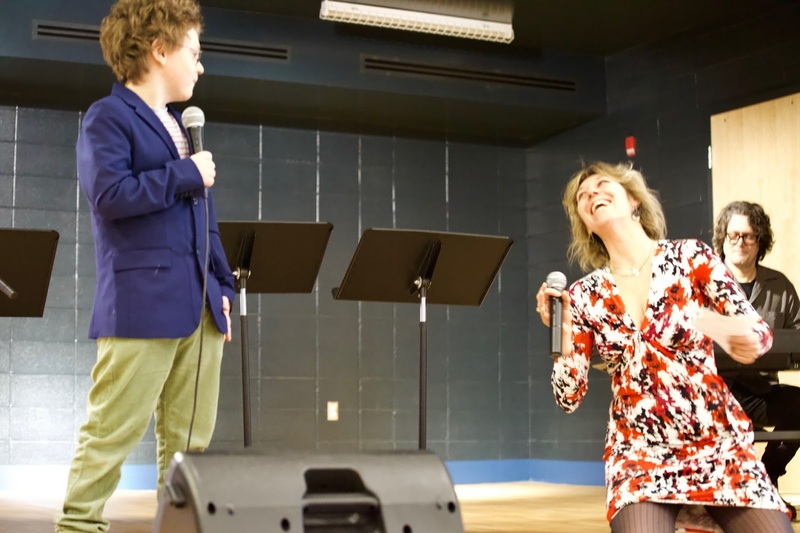 Martha Wainright performs with her son, a Mackay student. SAFE COMMUTE TO SCHOOL: In order to avoid sad and tragic accidents, the city of Montreal is aiming to educate citizens on a safe commute especially during the winter period where more heavy equipment is circulating to plow the streets. To enable this, they have developed and broadcasted an animated video on their social media platforms and on screens in the metro stations. We ask that parents, children and teenagers take precaution on their commute. Please see this video. 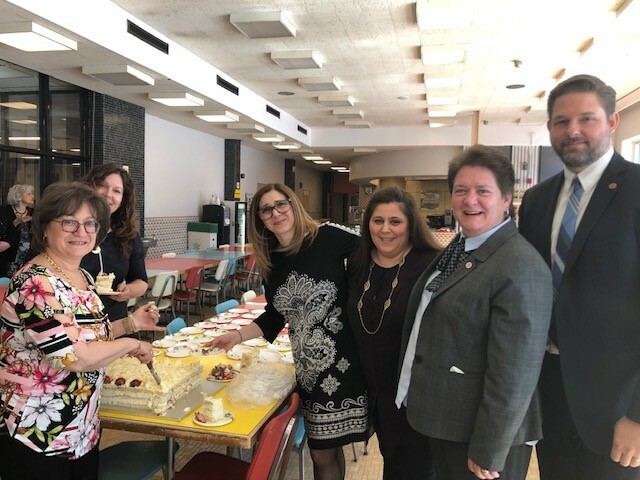 FACE SCHOOL: The EMSB welcomes the $11 million investment announced by the MEES in order to prepare a business case and the preliminary plans to arrange the renovations at FACE School and the relocation of the students. “We highly appreciate the partnership we have with the CSDM at FACE School,” said EMSB Chair Angela Mancini. “This is an excellent example of collaboration between two school boards. We are grateful to the government for their commitment to fund the renovations that this building requires and we will work closely with the CSDM to relocate our students during the work." A different kind of exam period. Travis Price at East Hill. PINK SHIRT DAY ORIGINATOR: Anti-bullying advocate Travis Price, famous for his 2007 pink shirt protest at a Nova Scotia high school, visited five EMSB primary schools from February 4 to 7: Edward Murphy in Hochelaga-Maisonneuve; East Hill School in R.D.P. 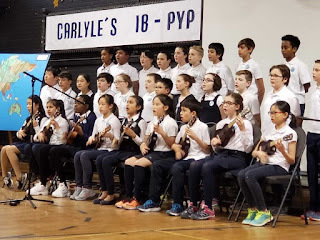 ; Gerald McShane in Montreal North; General Vanier and Pierre de Coubertin in St. Leonard and Our Lady of Pompei in Ahuntsic. Unbeknownst to Price at the time, his protest in 2007 would launch a viral movement whereas students across Canada would wear pink as an affront to bullying. Furthermore, fundraisers associated with Pink Shirt Day have raised over $1.8 million. 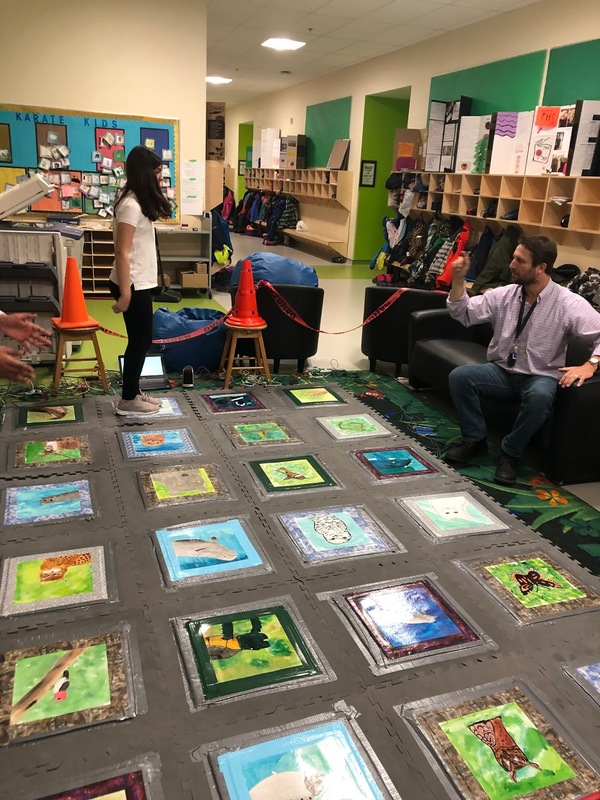 The visit was particularly special for students at Edward Murphy as they have embarked upon a year-long project to “Keep Kind in Mind,” which encourages students to spread messages of kindness. He is grateful to the EMSB and the Spiritual Care and Guidance and Community Involvement Service, through Rocco Speranza and Alie Procyszyn-Cabelli, for their support and dedication to spreading the message of hope, kindness, and positive mental health. Mr. Price was very excited to speak in Montreal and to start his 2019 Canada tour at the EMSB. EMSB students like these from Royal West will be at this year's Science Fair. Mr. Katz and his team. A GREAT SEASON: Congratulations to Royal Vale Elementary School on a great season in Led by Norman Katz and parents Mr. Stark and Mr. Weber, the team soared to new heights this year, earning a plaque in the LCC tournament with a record of 2-2-1. Royal Vale is the only public school with a hockey program. Commissioner Patricia Lattanzio joins students, staff and Rocket representatives. ROCKET LAUNCH AT EMSB: The future of the Montreal Canadiens met the future leaders of tomorrow as the Laval Rocket visited Pierre de Coubertin Elementary School in St. Leonard on February 4. The event marked the Rocket’s first ever visit to a local elementary school. Students got to meet goalie Charlie Lindgren, forwards Jake Evans and Michael Pezzetta and team mascot Cosmo. 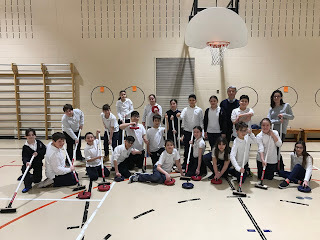 Pezzetta read Roch Carrier’s classic book The Hockey Sweater to Grade 1 and 2 students before playing a ball hockey game against the vaunted Grade 5 team. The Rocket won 7-6 in a shootout. Team animator Olivier Duclos was on hand to do the announcing. A second visit is scheduled for Gardenview Elementary School in St. Laurent on March 11 (1:30 p.m.) at which time it is hoped Carrier will be in attendance. 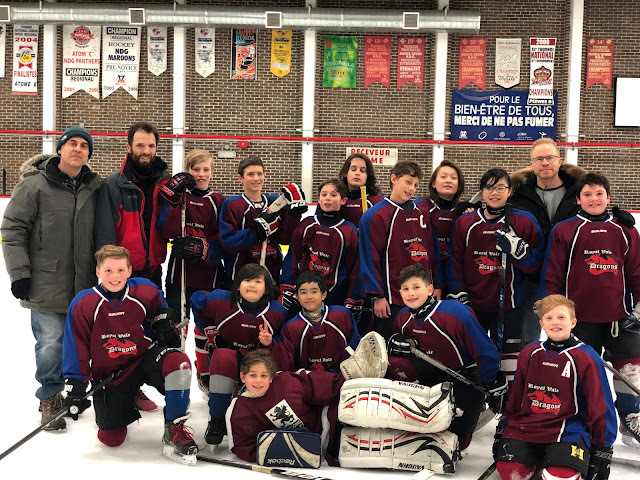 EMSB NIGHT AT PLACE BELL: The first EMSB Night will take place at Place Bell in Laval on Wednesday, March 20 when the Rocket host the Providence Bruins at 7:30 pm. Tickets normally priced at $25 have been lowered to $18 for the EMSB. Log on here. You will need to use the promo code: emsb19. 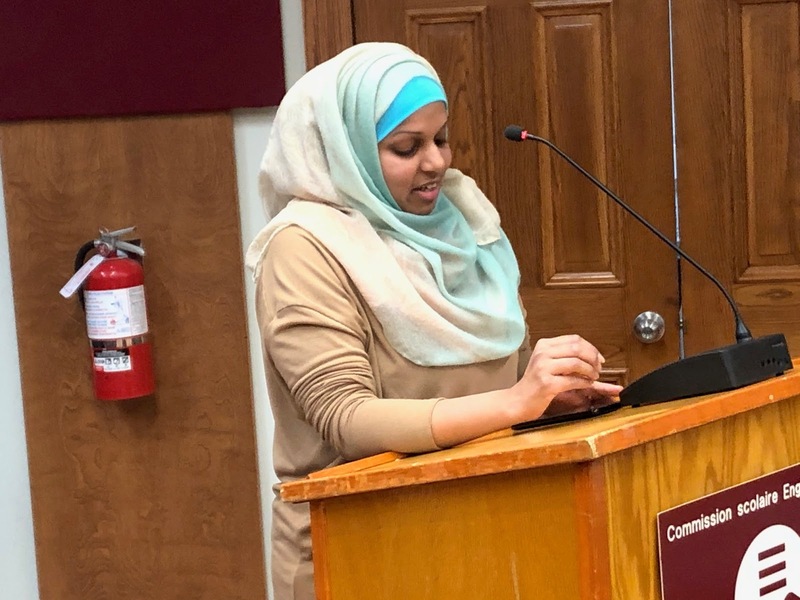 This policy applies at all time, including during any activity organized by the EMSB, its departments, representatives, schools or centres in any EMSB establishments, including its grounds, premises and buildings. The EMSB may take disciplinary measures and/or other measures against any employee and/or individual who violates the terms and prescriptions of the present policy. The complete policy can be accessed here the EMSB website. TOE2TOE: The Elizabeth Ballantyne School ‘CHANGEMAKERS’ have been busy and are organizing more great events for all the students. In February students have been participating in a friendly competition – challenging each House to collect as many pairs of socks as they can, which will then be donated to homeless shelters. 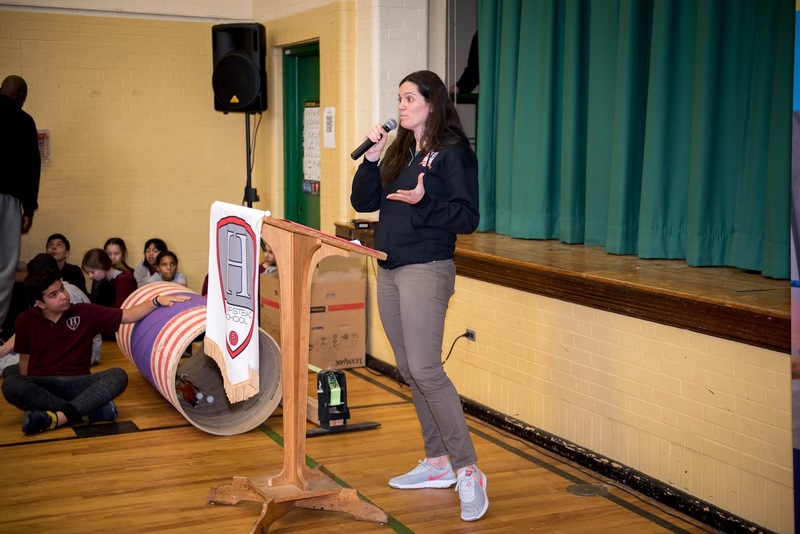 EBS recently had a visit from Chris Costello, founder of Toe2Toe – an organization that collects and donates socks to be distributed to Montreal’s homeless people (http://toe2toe.org/). He explained to the students that it is really important to donate white socks, as dark colours can mask injury or infections. The CHANGEMAKERS want to give the socks they collect to Dans La Rue and Chez Doris. All socks collected will be matched by the partners of Toe2Toe. We will celebrate this initiative with a ‘sock hop’ – this will be an 80’s themed dance at lunchtime. The kids will wear funky colorful socks, and the price of entry will be (at least) one new pair of warm white socks to be donated. We hope to collect many, many pairs of socks, which are so important to homeless people –especially at this time of year! HOPS: The EMSB Hospital Opportunity Program (HOPS) was recently profiled here in the Jewish General Hospital bulletin. 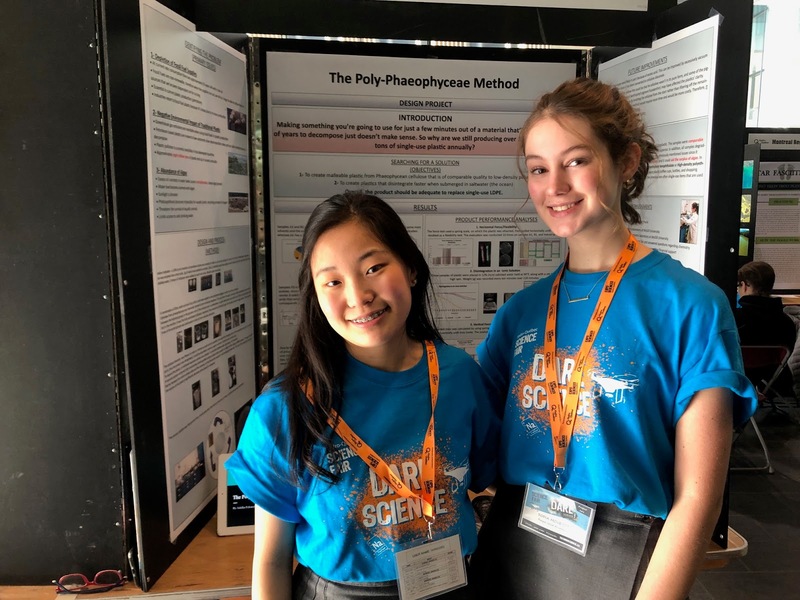 ROYAL WEST TEA CLUB: With a wide variety of clubs and extracurricular activities already available at Royal West Academy in Montreal West, it comes as no surprise that new options are being added to the list. 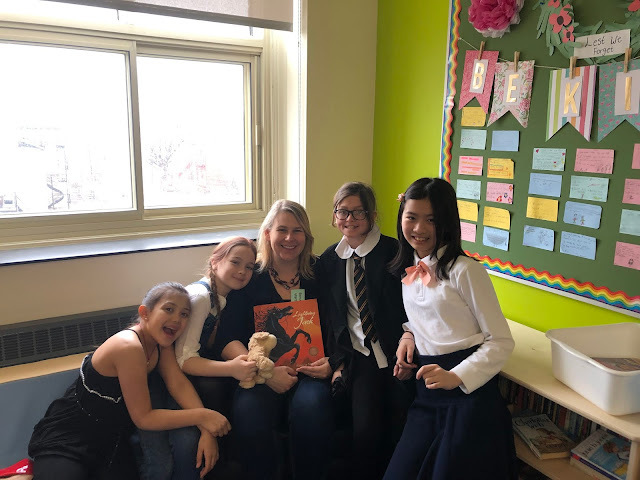 Secondary V students Olivia Chevrier and Christina Polichronopoulos have started their very own Tea Club within the school, which they have been running together since last winter. The group meets on Tuesday mornings. Students get to taste different kinds of tea each week and rate them, all while conversing and relaxing with friends before the long school day ahead. According to Olivia, this is exactly what makes her club unique, as it “brings students together in a stress-free environment.” Another interesting aspect of this extracurricular activity is that it was created and is run entirely by students. As heavy tea drinkers, Olivia and Christina jumped at the opportunity when it was suggested to them by Mme Moreau. “It’s really easy to make your own club!” Olivia says. All that’s needed is to find a teacher to be present during meetings. SNACK DAY FOR CHARITY: Grade 6 classes at Gardenview Elementary School in St. Laurent are hosting their annual “Snack for Charity Day” on Thursday, April 11 (9:30 to 11 am). Nutrition is a key contributor to good mental health so this class will selling healthy snacks to students in Grades 5 and 6 throughout that morning to raise funds which will be donated to AMI-Québec. Last year they raised over $750 and they hope to do better this year. All of the food was generously donated by businesses in the area (Costco, Adonis, Maxi, Mourelatos, Walmart, IGA, Avril, etc.). A representative from AMI-Québec is expected to visit the school that morning. Lew Lewis and Sandra Reich. 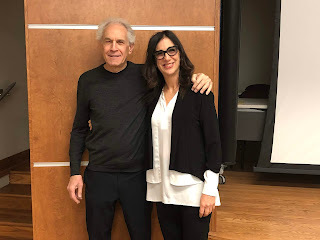 BURNOUT: Sandra Reich, the founder and clinical director of the Montreal Center for Anxiety and Depression, facilitated a workshop organized for all Student Services Department professionals, guidance counsellors and spiritual and community animators at the EMSB Head Office on February 1. It was entitled “Burnout-The Cost of Caring Too Much.” Ms. Reich is also the founder of Sandra Reich Couple Retreats, the co-director of Empowered Women Workshops and Anxiety Videos, a bestselling author of a self-help book “Once Upon a Time…How Cinderella Grew up and Became a Happy Empowered Woman,” and the host of the international radio show called Straight Talk with Sandra Reich on Voice America. 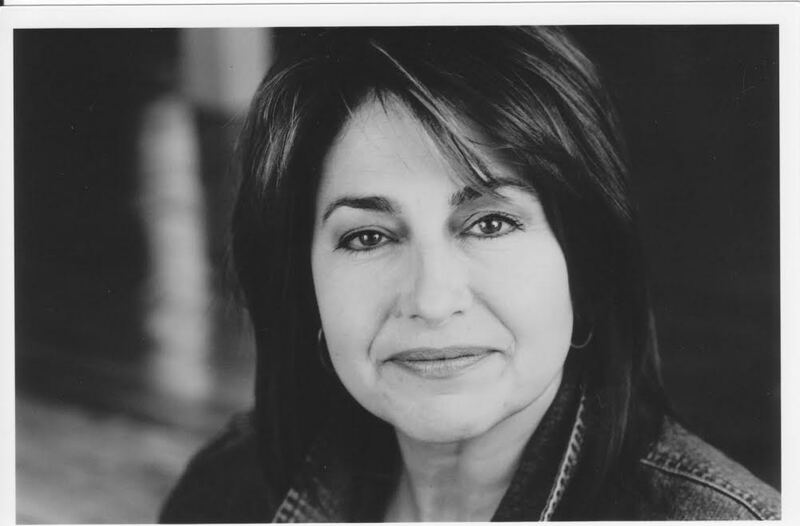 Her expertise has been featured on many radio and television shows including Discovery Health, Global TV, Breakfast Television, and APTN and recently on Celebrity Damage Control. She is also a regular guest on The Dr. Laurie Betito show called Passion on CJAD. In her presentation she explained that burnout is a state of emotional, physical and mental exhaustion and prolonged stress. It occurs when you feel overwhelmed, emotionally drained and unable to meet constant demands. Symptoms include insomnia, forgetfulness, increased illness, anxiety, and loss of appetite, depression, anger and impaired concentration and/or attention. Burnout doesn’t go away on its own and ignoring it can cause further harm or get worse unless the situation is addressed. 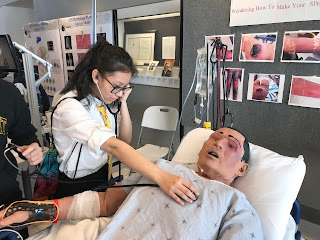 Many strategies can help with a burnout such as taking a vacation or leave of absence, reassessing your goals, practice positive thinking, learning to say no or simply the basics of good health. Sleeping, eating and exercise are all part of your well-being. The recommended hours of sleep for an adult are seven to nine hours. Less can lead to anxiety and more can lead to depression. Eating every three hours when awake and 20 minutes of cardio a day can lead to a better lifestyle. 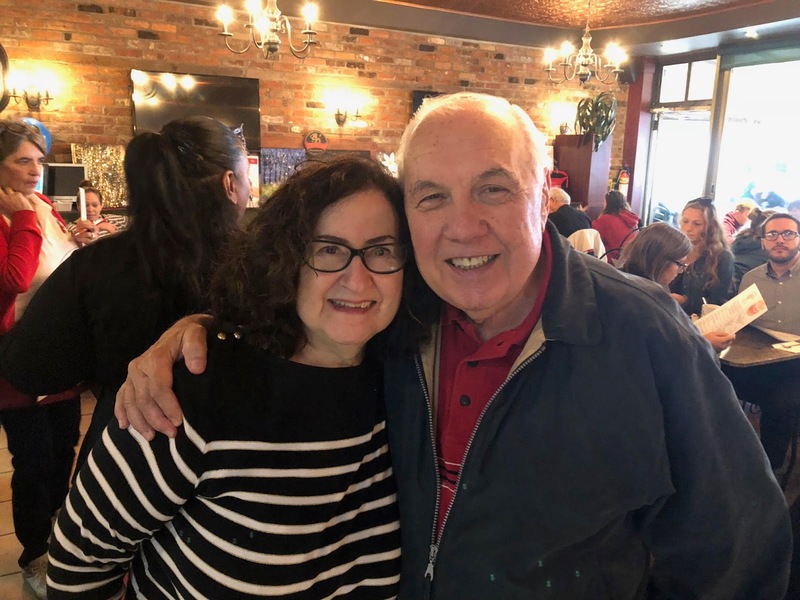 CHEERS TO VOLUNTEERS: The EMSB will hold its annual Parent Volunteer Appreciation Evening on April 9 at Plaza Volare. Those individuals who have volunteered for five years or more will be among the 500 people invited. "Cheers to 20 years of Volunteers” has been chosen as the theme. ANIMAL WELFARE CONFERENCE: The 2019 National Animal Welfare Conference is happening at the Hotel Bonaventure Montreal April 14-15, 2019. All two-day conference registrations come with one ticket to the Opening Social on April 13 and one ticket to the Animal Welfare Leadership & Innovation Awards on April 14. All conference and training day registrations include breakfast, lunch and nutritional breaks for the day(s) you have registered. HEART TO HEART: St. Valentine’s Day 2019 was all smiles at the Montreal Children’s Hospital. 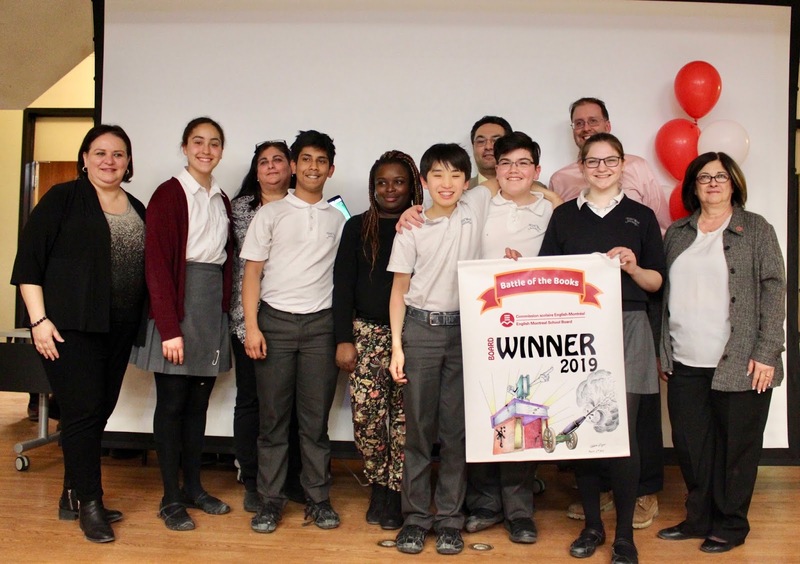 Coordinated by the Spiritual Care and Guidance and Community Involvement Animation service, five EMSB schools participated in the 15th annual Heart to Heart program, which donates toys to sick children. The schools collected toys and wrote cards in an attempt to cheer up those children who were stuck in the hospital on Valentine’s Day. Acting in the spirit of St. Valentine through his messages of hope, students traveled floor to floor giving gifts, cards and receiving many smiles and thank yous in return. Vincent Massey Collegiate, Edward Murphy, East Hill Elementary, General Vanier and Gerald McShane all donated to this worthy cause. Participating in the Valentine's Day program. WILL YOU BE MY VALENTINE: In honour of Valentine’s Day, Rosemount and Perspectives I and II Alternative High School students, under the guidance of Spiritual and Community Animator Vince Lacroce, educators Jessika Neri, Jessica Awadalla and Jessica Ghin, as well as Technicien En Loisirs of Centre D'Accueil Dante Maria Crecca, held their annual “Will you be my Valentine?” program. This intergenerational program was developed to promote the virtues of love and compassion for those in our community. 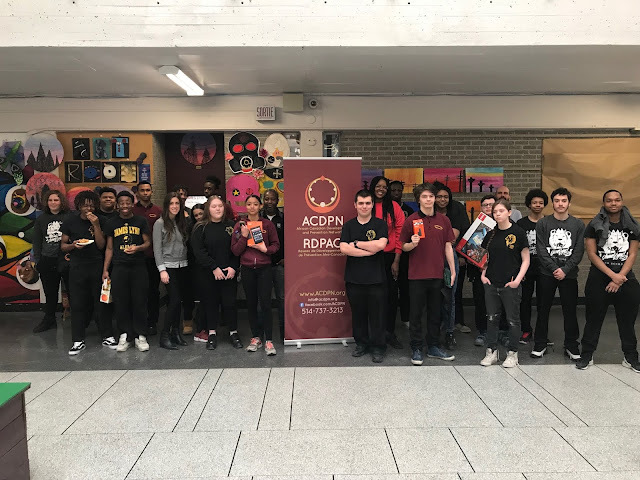 Over 25 students undertook fundraising for new stuffed animals, Valentine’s Day cards, chocolates and other gifts to be distributed to seniors at Centre D'Accueil Dante. All extra gifts collected were donated to the Montreal Autism Center. 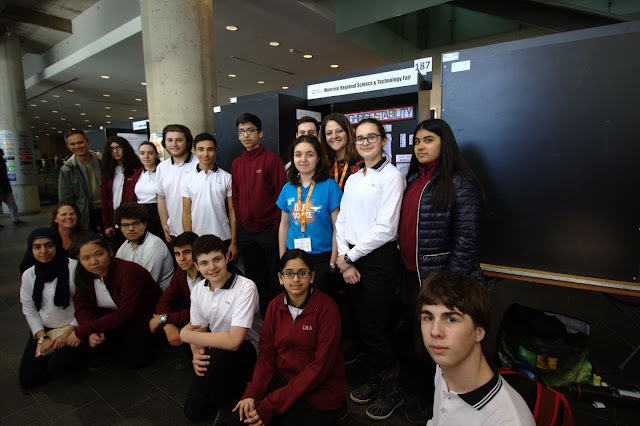 On February 13, students from Perspectives I and II High School visited Centre D'Accueil Dante and personally handed out the donated gifts, enjoyed a holiday luncheon, and took a photo with the senior in their Valentine’s Day Photo booth. On February 14, Rosemount High School invited the grandparents of their student community for an interactive afternoon of activities, games, and light refreshments. 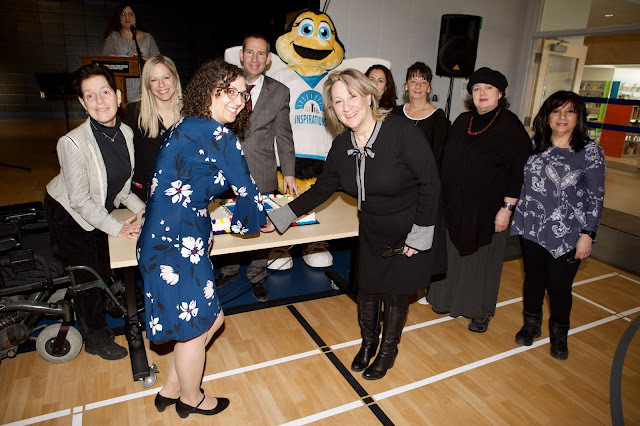 KINDNESS ASSEMBLY: On February 14, a Kindness Assembly was led by Spiritual Care and Guidance and Community Involvement Animator Mary Poullas at Gardenview Elementary School in St. Laurent. The focus was to have the student’s gain an understanding of the power of being kind and how simple acts of kindness can play a significant role in our school as well as our community. Random acts of kindness activities followed throughout the month to reinforce the message. 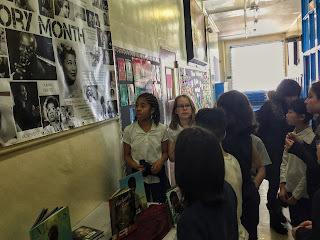 Students take part in Black History Month activity. BLACK HISTORY MONTH: Students from Dalkeith and Nesbitt Elementary Schools in Anjou and Rosemount respectively commemorated Black History Month with a unique program developed by Spiritual Care and Guidance and Community Involvement Animator Vince Lacroce. The “Trailblazing through History” program combined elements from the Amazing Race, whereby groups of students in Cycle 2 completed various tasks and educational challenges throughout the school while learning about the stories, experiences, and accomplishments of both Black Canadian and American Heroes. 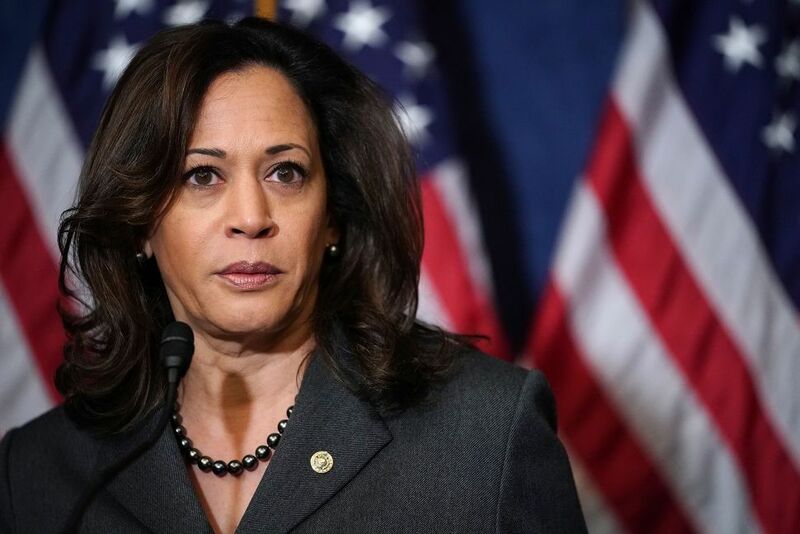 The intent of the program was to recognize the contribution of the Black community through the Civil Rights movement in education, government, science, sports, and music. 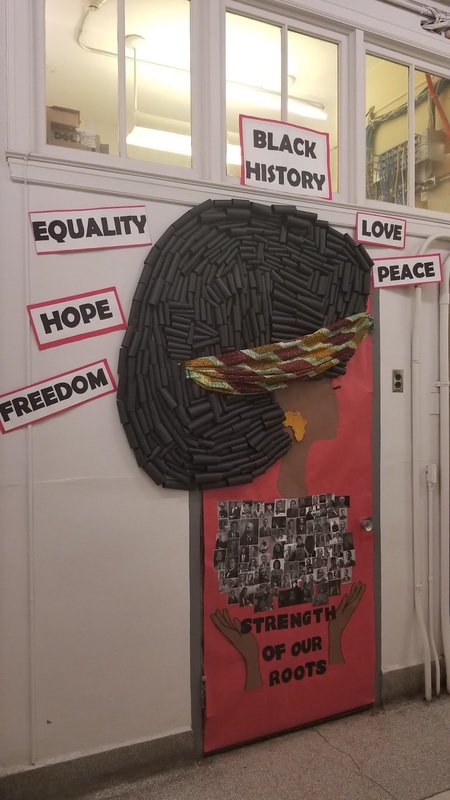 Similarly, in Cycle 1 and at Rosemount High School, students commemorated Black History Month by creating a “Board of Dreams” that was displayed on the school’s main bulletin board. The board highlighted the important contributions and achievements of the black community and acknowledge the importance of the civil rights movement and its leaders, such as Rosa Parks and Dr. Martin Luther King Jr. Students will also have an opportunity to reflect and dialog about Dr. King's dreams and their own dreams for the future. The students concluded the in-class workshops by displaying their aspirations on bulletin boards inside the school. Listen to our podcast interview with Vince Lacroce. 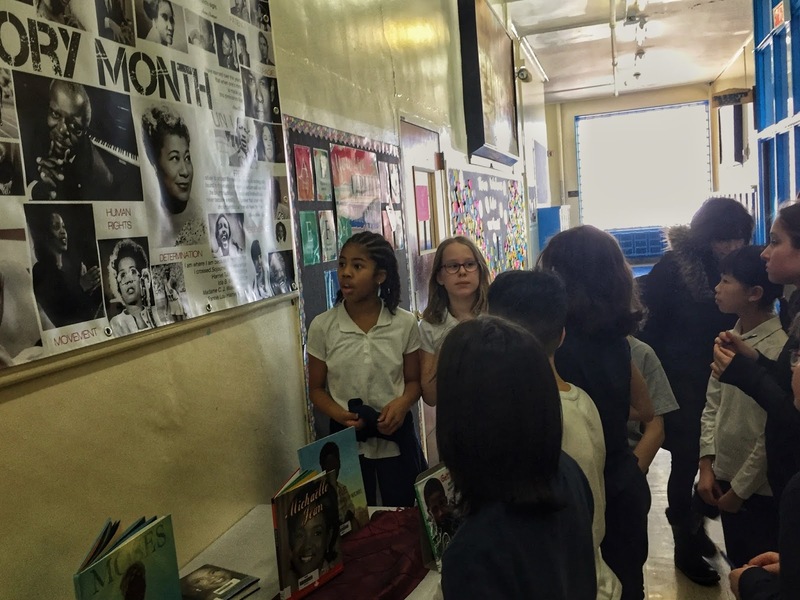 CONTRIBUTORS THROUGHOUT HISTORY: In honor of Black History Month, a committee at Carlyle Elementary School in TMR put their minds together to produce a piece to acknowledge the many contributors throughout history; past and present. March 30 at 8 p.m. – Earth Hour Concert at Christ Church Cathedral as guests of the Choeur des Enfants de Montréal. Admission by donation. April 6 at 7 p.m. – En Harmonie 4 Kids at Mountainside United Church. Tickets $15 available at the door. For more information, contact conductor Patricia Abbott at 514-483-7200, ext. 7234 or pabbott@emsb.qc.ca. CULINARY CAMPS: Learn to cook at Provigo Saint-Jacques’ culinary camps: Is your child interested in the culinary arts? What better place to learn about food and cooking than at a grocery store filled with all of the fresh ingredients needed to make a delicious, healthy dish. Provigo Saint-Jacques, located at 6600 St-Jacques West in Montreal, offers fun culinary programs year-round. 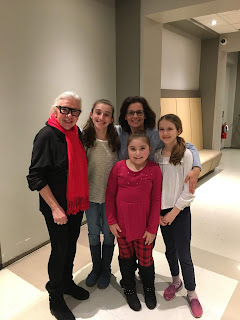 This spring break, kids ages six to 11 can learn “All about grilled cheese” (March 4), “Make it Italian” (March 6), “Authentic Greek flavours” (March 7), or “Camp around the world” (March 8). By the end of the week your child will be ready to take over your kitchen! Kitchen Kids, for children ages six to 11, runs every second Friday evening from 5 to 7 p.m., starting March 1 until June. All sessions feature an innovative theme. Look out for their “Black box challenge for Kitchen Kids on Wednesday, June 26 from 10 a.m to 1 p.m. Inspired by popular TV cooking shows, kids will be tasked with creating a dish within a time limit! Little Hands, for children ages two to six, runs on various Fridays from 10 a.m. to 11 a.m. And the whole family can learn to cook together at Family Classes scheduled on March 1, and 29, April 26, and May 31 from 5 to 7 p.m.
Full-day cooking camps are scheduled for April 22, June 27 (Summer flavours), and June 28 (Pizza for breakfast, lunch and dinner) from 8:30 a.m. to 5 p.m. This hands-on class has the students doing all of the cooking. Provigo teachers are there to help the budding chefs learn simple cooking and baking skills while having fun and meeting new friends. The day will include breakfast, lunch and snacks, and fun crafts and games while the food is in the oven. Students will have the opportunity to explore the world of fruits and veggies and striking a balance of healthy foods and treats. Summer cooking fun is around the corner with full day or full week cooking camps on weekdays starting on July 2 and running through to August 2, and August 19 to 26. For more information, contact Grace at 514-481-6959 or csc08808@provigo.ca. ROGERS RETIRES: Cabinetmaking instructor Alan Rogers retired from Rosemount Technology Centre in January, after twenty-five years of showing students how to keep their tools sharp and build furniture with integrity. Passionate about transmitting the craft of working wood, he believed that if you tune a machine properly you can make it sing. He held himself and his students to high standards. Many a graduate – including some who went on to teach alongside him – still feel Alan looking over their shoulder as they set up a machine, warning them against carelessness, keeping them honest and on their toes. “I use the techniques and habits he taught every single day” said one graduate on hearing of his retirement.In his time at RTC Alan taught the fundamentals of building to hundreds of students and led groups in memorable projects including building chairs for the school conference room and installing kitchens for low-income families. He also loved to share the treasures of his adoptive city, taking students to the Canadian Centre for Architecture and the Botanical Gardens. 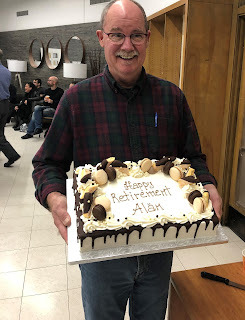 “If you love working in this shop” a colleague told students on Alan's last day, “then you owe a big part of that to this man”. Alan had poured his heart into setting a safe and functional workshop. And while he is off cross-country skiing or canoeing, his spirit still inhabits the place he did so much to build. ASSISTING THE CHURCH: St. George’s Anglican Church is a heritage church in downtown Montreal and is designated as a National Historic Site of Canada. They received a generous donation from Rosemount Technology Centre. 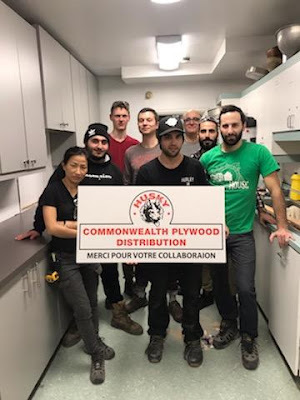 Teacher, Chris Honce and his students from the Cabinet Making Program donated their time and talent and with supplies donated by Commonwealth Plywood, they were able to build new cabinetry for the outreach program at St. George’s. Their kitchen serves 50-100 meals a day, seven days a week to the poor and homeless. “ On behalf of St. George’s Anglican Church, I want to say how profoundly grateful we are to Rosemount Technology Centre”, stated The Reverend Canon Steven W. Mackison. ÉCOLE FACE: La CSEM se réjouit de l’investissement de 11 millions de dollars annoncé par le MEES afin de préparer le dossier d’affaires et les plans préliminaires pour planifier la rénovation de l’école FACE et la relocalisation des élèves. Madame Mancini a déclaré que la CSEM apprécie vivement le partenariat qu’elle entretient avec la CSDM à l’école FACE. Il s’agit là d’un bel exemple de collaboration entre deux commissions scolaires. La CSEM est reconnaissante envers le gouvernement qui s’engage à financer les rénovations que requiert ce bâtiment et elle travaillera étroitement avec la CSDM afin de relocaliser nos élèves durant les travaux. 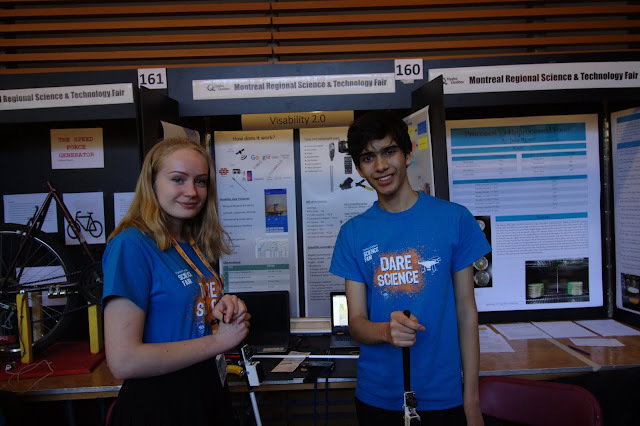 EXPO-SCIENCES: L’Expo-sciences régionale 2019 se déroulera du 24 au 26 mars à l’Université Concordia (1515, rue Sainte-Catherine Ouest, édifice EV). 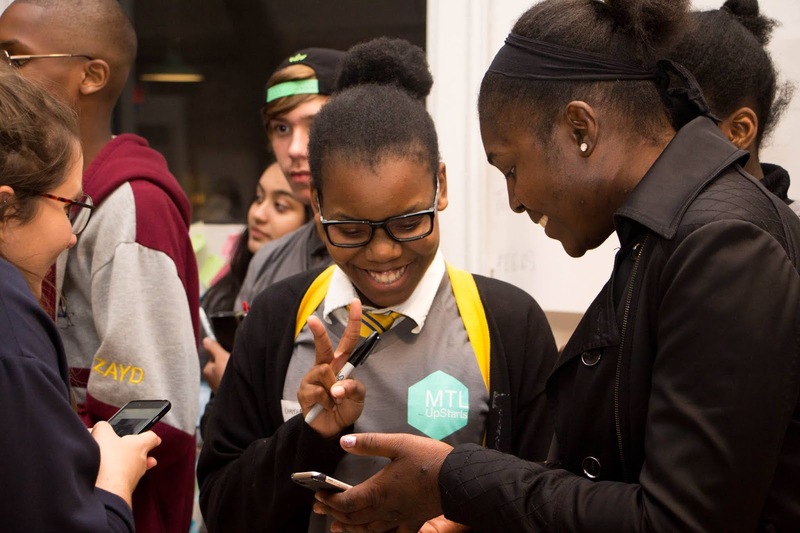 https://technoscience.ca/programmes/expo-sciences/tout-savoir/les-expo-sciences-cest-quoi/. Les heures d’ouverture pour le public et les écoles sont de 13 h à 16 h les 24 et 25 mars, et de 9 h à 16 h le 26 mars. RELOCALISATION TEMPORAIRE DES ÉLÈVES DE WESTMOUNT PARK: La CSEM relocalisera les élèves de l’école primaire Westmount Park, pendant une période de deux ans, à l’Académie internationale Marymount à NDG et à l’ancienne école primaire St. John Bosco à Ville-Émard. Des travaux majeurs de rénovation seront effectués à l’école primaire Westmount Park. Devant l’ampleur du projet de 12,5 millions de dollars, l’ensemble des élèves et du personnel devront être relocalisés durant les deux prochaines années scolaires, soit 2019-2020 et 2020-2021. L’effectif scolaire qui compte plus de 700 élèves sera réparti entre Marymount et St. John Bosco. Des classes de prématernelle à la 6e année seront offertes aux deux endroits afin d’éviter de séparer les enfants d’une même famille. NOUVELLE ANNEXE : Devant le débordement des écoles primaires dans l’ouest de son territoire, le comité de planification à long terme de la CSEM avait initialement proposé d’ouvrir une nouvelle école primaire Français Plus au 4850, avenue Coronation à NDG. Les écoles d’immersion surpeuplées dans ce secteur sont Edinburgh (127 pour cent de sa capacité) à Montréal-Ouest, Merton (107 pour cent de sa capacité) à Côte Saint-Luc et Willingdon (90 % de sa capacité) à NDG. Dans le but d’établir cette nouvelle école, la CSEM avait alors recommandé que les effectifs de deux écoles secondaires innovatrices, soit Focus et Outreach, soient relocalisés dans le bâtiment de l’école secondaire James Lyng à Saint-Henri. Cette dernière a conclu un bail avec le Collège Centennial, lequel prendra fin le 30 juin 2019. CANNABIS: La Commission scolaire English-Montréal (CSEM) a adopté une nouvelle politique sur la possession et/ou la consommation de cannabis. Dans la foulée de la légalisation récente du cannabis récréatif au Canada, la CSEM entend protéger la santé et la sécurité de ses élèves, employés, représentants élus, bénévoles et toute autre personne qui utilisent les établissements de la Commission, notamment ses terrains, ses locaux et ses bâtiments. Il est strictement interdit à toute personne qui se trouve dans un établissement de la CSEM de posséder et/ou de consommer du cannabis récréatif. De plus, il est strictement interdit à toute personne de posséder et/ou de consommer du cannabis récréatif lorsqu’elle exerce ses fonctions comme représentant de la CSEM. Enfin, il est strictement interdit à toute personne de posséder et/ou de consommer du cannabis récréatif lorsqu’elle est au volant ou lorsqu’elle a la garde et/ou le contrôle d’un véhicule appartenant à la CSEM, ses élèves et employés, loué ou utilisé par ces derniers. La CSEM pourra prendre des mesures disciplinaires ou d’autres mesures à l’endroit d’un employé ou de toute autre personne qui déroge aux modalités de la politique. Cette politique s’applique à tous les employés de la CSEM; à tous les élèves adultes, parents et visiteurs qui se trouvent dans un établissement de la CSEM, incluant ses terrains, locaux et bâtiments; à tous les représentants élus, bénévoles et responsables de la supervision ou du contrôle des activités de la CSEM; et à tous les partenaires de la CSEM du domaine de l’éducation et des affaires, leurs organismes affiliés, leurs employés, représentants ou sous-traitants. UNE RETRAITE BIEN MÉRITÉE POUR ALAN ROGERS: Alan Rogers, enseignant en ébénisterie au Centre de technologie Rosemont, a pris sa retraite en janvier au terme de 25 années durant lesquelles il a enseigné aux élèves à bien affûter leurs outils et à fabriquer des meubles avec intégrité. Passionné par le travail du bois et par la transmission de son art, Alan a toujours fixé des attentes élevées envers lui-même et ses élèves. Plusieurs diplômés – y compris certains devenus eux-mêmes formateurs à ses côtés – ont encore l’impression qu’Alan pose son regard sur eux lorsqu’ils s’affairent à régler une machine, pour leur rappeler d’être prudents et vigilants. « J’utilise les techniques et les trucs qu’il nous enseignait chaque jour », a déclaré un diplômé lorsqu’il a appris qu’Alan se retirait. Pendant toutes ces années au Centre de technologie Rosemont, Alan a enseigné les règles fondamentales de la construction à des centaines d’élèves, notamment la fabrication de chaises pour la salle de conférence du centre et l’installation de cabinets de cuisine pour des familles à faible revenu. Il adorait également faire découvrir aux autres les trésors de sa ville adoptive, et amener les élèves au Centre canadien d’architecture et au Jardin botanique. Lors de la dernière journée d’Alan au centre, l’un de ses collègues a déclaré aux élèves : « Si vous aimez travailler dans cet atelier, sachez que c’est en très grande partie grâce à cet homme ». Alan s’est investi corps et âme pour créer un atelier sécuritaire et fonctionnel. Et même s’il passe maintenant son temps en ski de fond ou en canot, son esprit est toujours présent dans cet endroit où il s’est donné à fond. The next EMSB Focus will be published on March 27. Deadline for submissions is Friday, March 22 at Noon to mcohen@emsb.qc.ca.